What’s the difference between a Free, Ad Free, and Doublr account? 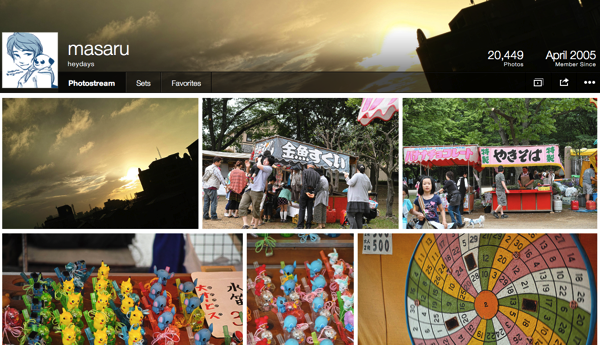 There are three kinds of accounts to choose from at Flickr, and all of them are awesome in their own way. 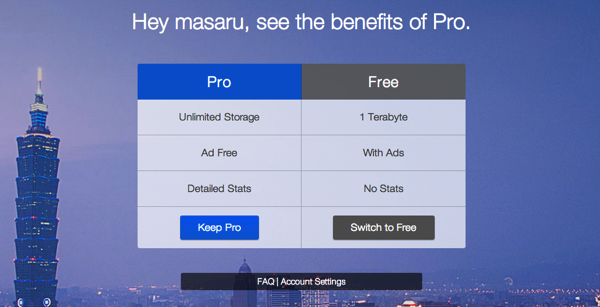 What used to be offered with a Pro account? 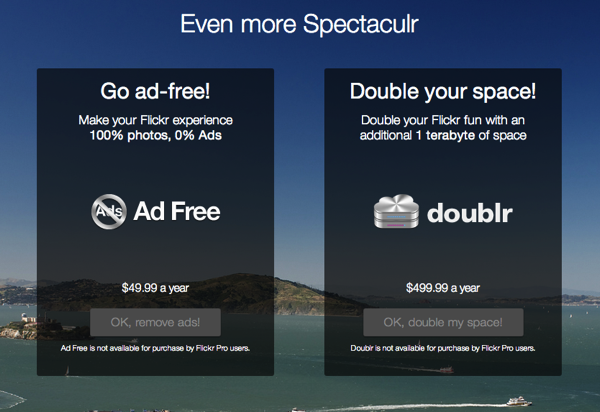 Flickr Pro is no longer available for purchase, but many of the Pro-only features are now part of free Flickr accounts. What do I now have with a free Flickr account? 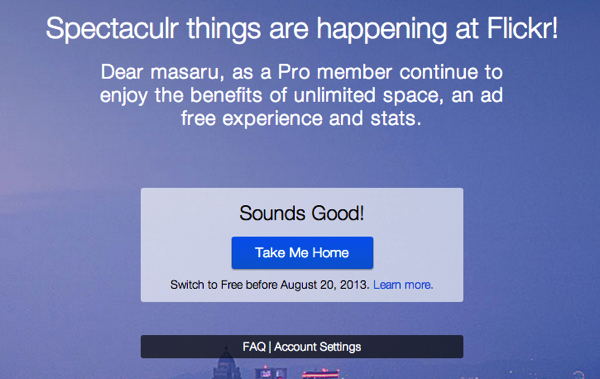 Dear masaru, as a Pro member continue to enjoy the benefits of unlimited space, an ad free experience and stats. Flickr: Spectacular things are happening at Flickr! With these changes comes the news that we will no longer be offering Pro accounts on Flickr. All those with one-time Pro will retain their benefits until their subscription expires. Recurring Pro members currently have the opportunity to continue renewing their subscriptions. Until we communicate otherwise, your subscription will continue at the price you started with (and not higher). All current Pro members will receive a message in their primary email accounts with more details. As a Pro Member, your subscription remains the same. You’ll enjoy unlimited space for your photos and videos, detailed stats and an ad-free experience. However, you can switch to a Free account before August 20, 2013. This entry was posted in Flickr, Memo, Photo on May 21, 2013 by masaru.